Benefits of using a Shampoo Bar. - Amphora Aromatics Ltd – Supplier of pure essential oils and aromatherapy Products. Perservative free- Our shampoo bars are SLS, paraben and artificial fragrance-free. Easy to use – Simply wet hair and hands with warm water, rub shampoo bar between hands to create a luxurious foam and apply to hair. Less packaging – Our shampoo bars are packaged in a recyclable cardboard box, no need for plastic bottles. 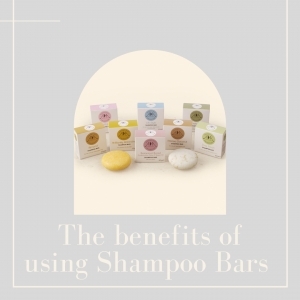 We have 8 Shampoo Bars to choose from, which one will be your favourite? Explore the full range here.